Since the release of v2.0.0, X features the ability to activate megamenus in the main navigation of the website. 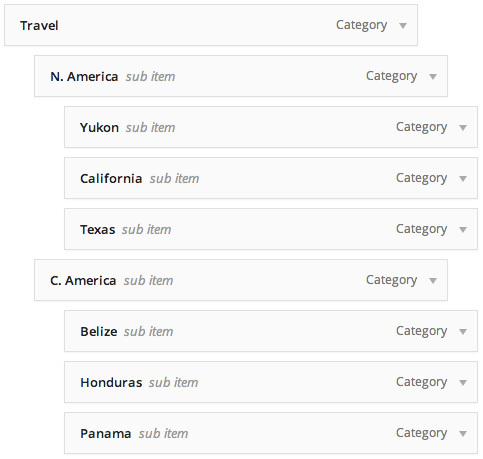 Megamenus are a great feature to take advantage of if you've got a lot of content that you need to manage within your navigation system that could easily get overwhelming with traditional dropdowns. In this article we'll take some time to discuss how the megamenu functionality implemented in X operates as well as how to implement them on your site. To change the megamenu from a four column layout to a three column layout, all you would need to modify is col-4 to col-3. Once you have these classes in place, your megamenus will be up and running on your website! Keep in mind that based on the amount of links you have present in your megamenu as well as the functionality of the navbar itself (i.e. fixed top), stacking menus like this might not always be something to pursue as it could be too much content for some formats. Ultimately you will need to find what configuration works best for the amount of content you're trying to present along with your global site layout options. 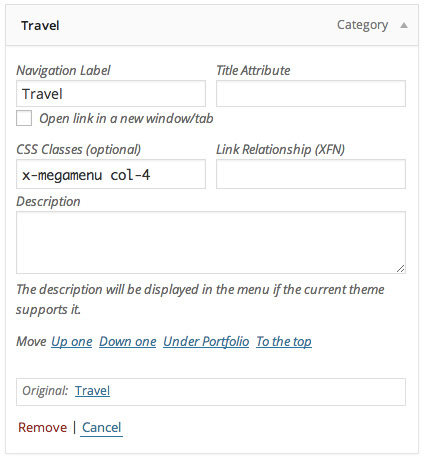 When using the megamenu feature with a fixed left or fixed right navbar configuration, the megamenu will receive a fixed width due to the unique properties of these layouts. The width of your megamenu is calculated based on the width of your fixed side navbar and is done so to ensure that it will not overflow off the screen on smaller desktops and tablets. I try to creat Mega Menu - What is wrong? X-Theme: How to add CSS to menu?